​Former Liverpool defender Jamie Carragher has heaped praise on holding midfielder Fabinho, branding him as 'better' in that position than club captain Jordan Henderson. Henderson has enjoyed an upturn in form in recent weeks, scoring once and providing two assists in Liverpool's last three games, with his positional change further forward partly down to the arrival of Fabinho. 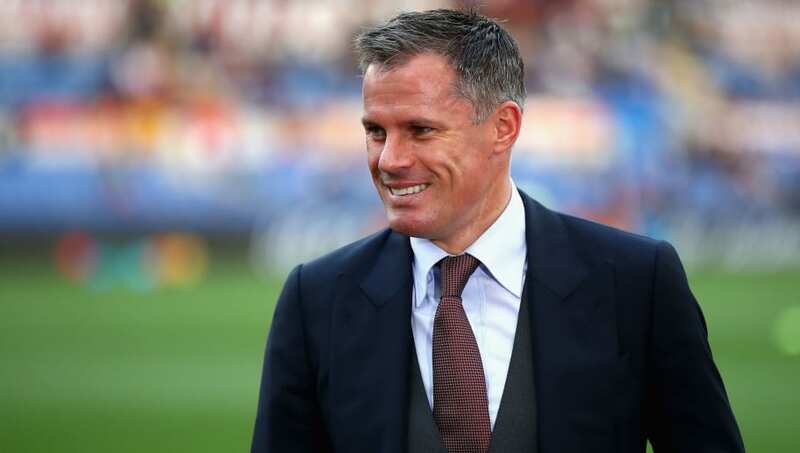 The Brazil international joined the club for £43.7m in the summer from AS Monaco, making 34 appearances in a season that could finish with the club winning the ​Premier League and ​Champions League, with Carragher praising his qualities as a holding midfielder. Speaking on ​Sky Sports' Monday Night Football, he said: "Fabinho can’t run. Jordan Henderson can run. But in that position Fabinho is better than Henderson. The way he reads situations, he snuffs things out more, even though he hasn’t got the legs of him." The arrival, and subsequent form, of ​Fabinho has meant ​Henderson, who had been deployed as the club's holding midfielder, has since been moved further forward. Sky Sports colleague Gary Neville has questioned why it's taken so long to move him out of a position that isn't suited to his best attributes, such as his energy and running. Speaking on the same show, the former Manchester United defender added: "I said this for two or three years, why is he playing deeper? Why is Jordan Henderson going and getting the ball off his back four. I don't get it. I've never got it having worked with him, having watched him, like him. I've never got it. "So this conversation that he had with Jurgen Klopp where he said, 'I want to play further forward again', it's sort of like Hallelujah. "I think he's one of the very best that we have in this country at backing up play, sniffing out the second ball, making sure he's in and around the area where it matters." After earning a 2-0 win over Chelsea at the weekend, ​Liverpool currently have a two-point lead over ​Manchester City in the Premier League title race, although Pep Guardiola's side have a game in hand. Their immediate attention however is the Champions League, as they travel to Portugal to face FC Porto in the second-leg of their quarter-final tie, with a semi-final against either United or Barcelona on offer should they avoid defeat.